Made from wild-grown, non-GMO, 100% raw, heirloom variety (hon-hybrid), certified organic, kosher & fair trade ceremonial grade cacao. 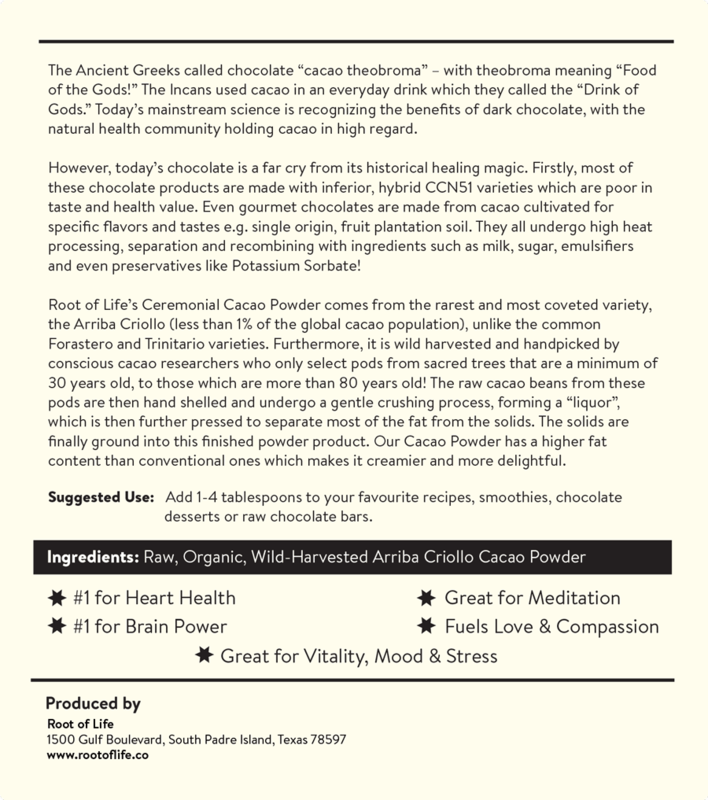 With such a staggering amount of documented evidence and science today supporting the health benefits of cacao, or what some refer to as “dark chocolate”, it is getting easier for all of us to start embracing cacao as medicine, and food as medicine. In fact, in the raw food and superfood community, cacao almost consistently takes centre stage as THE ULTIMATE health food. 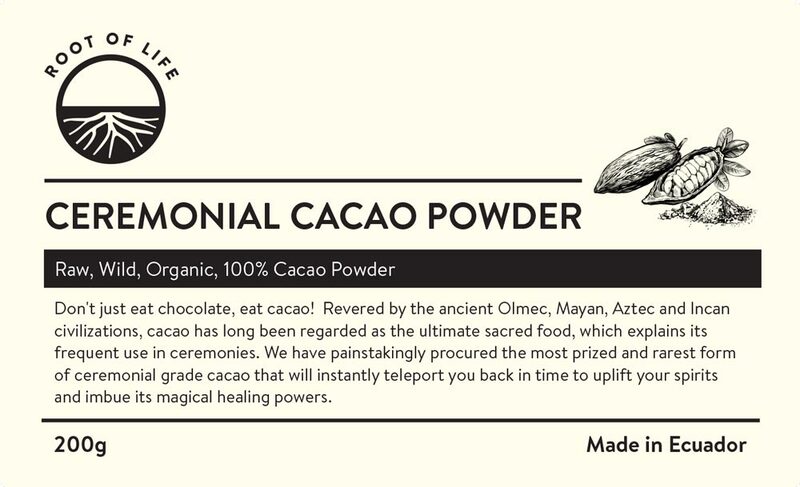 Apart from being regarded as not just a health food, elixir, tonic and medicine, cacao has been highly revered as a sacred and divine food with undeniable evidence preserved from the Olmec, Mayan and Aztec civilisations. The vast array of natural medicine offered by the dense Amazon rainforest – its plethora of healing botany, is represented by cacao – studied to be the MOST pharmacologically complex food source in the known Amazon jungle, containing an estimated 1,200 individual chemical constituents. It is simply impossible to mimic the effects of cacao artificially and synthetically! 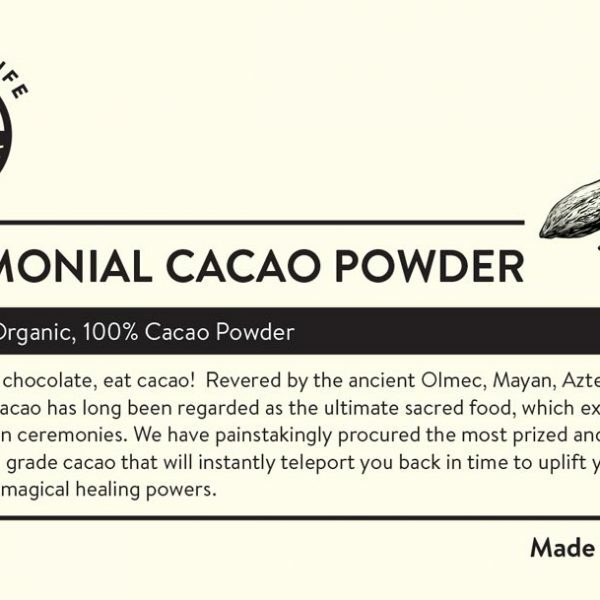 Why is our cacao powder different? 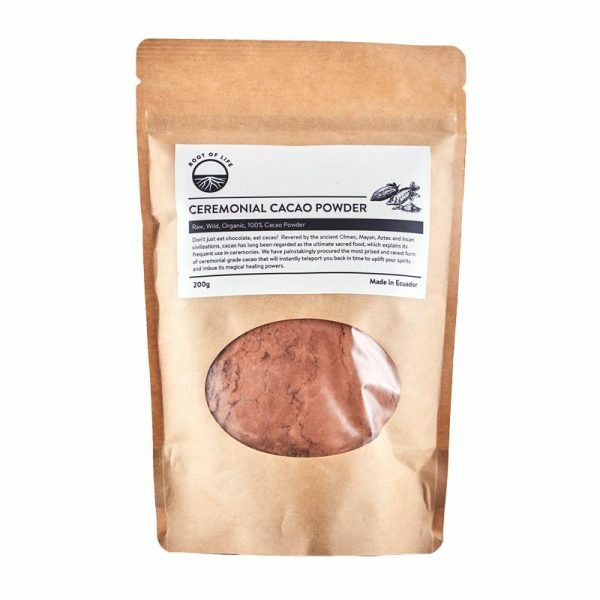 Firstly, cacao powder is produced using unroasted cacao beans (unlike all traditional manufacturers!). The beans are ground up, before removing and extracting the pure oil or fat i.e. the cacao butter through cold-processing. Our cacao powder retains more fat content then regular ones, which makes it more beneficial, creamier, and silkier – and just simply a blast to use in recipes! The powder, compared to the whole bean and cacao paste which is where we INSIST everyone should start from, loses a little of the WHOLE profile offered by our cacao paste. However, the powder contains more protein and antioxidants per unit weight. We would recommend using cacao powder in recipes which call for it, especially in blends. Note that before this process, our cacao beans are minimally fermented for 2-4 days on cane covered in banana leaves and purely sundried to eradicate mycotoxins and prevent their buildup. Our raw cacao powder does not bring heatiness to the body unless it has undergone high temperature processing as in conventional chocolate. 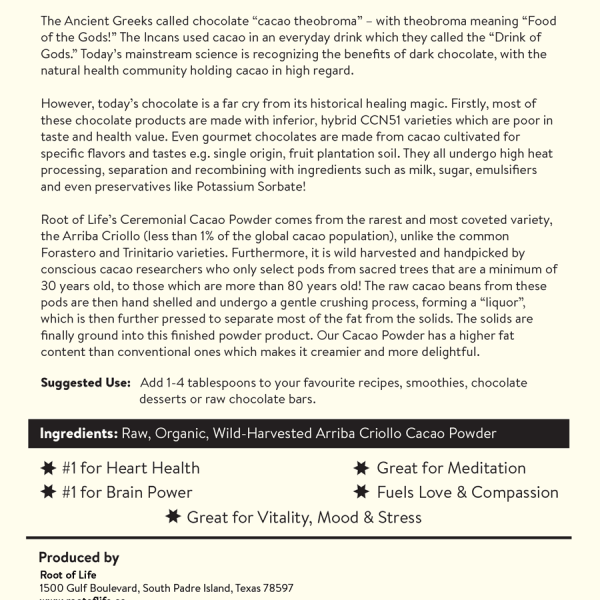 It is the ONLY kind that contains the nutrigenomic content of the ceremonial grade cacao used in ancient civilisations! Guaranteed purity by selecting pods by hand and harvested only when fully mature and ripe – discarding “mouldy” or “anything less than best” picks, and NEVER procuring from other third parties to make up our supply – if we are out, we are out! Hence it is the true cacao that possesses all the benefits espoused by the ancient civilisations for tryptamine activation, pineal gland expansion, entheogenic experiences, euphoria, deep meditation, etc. 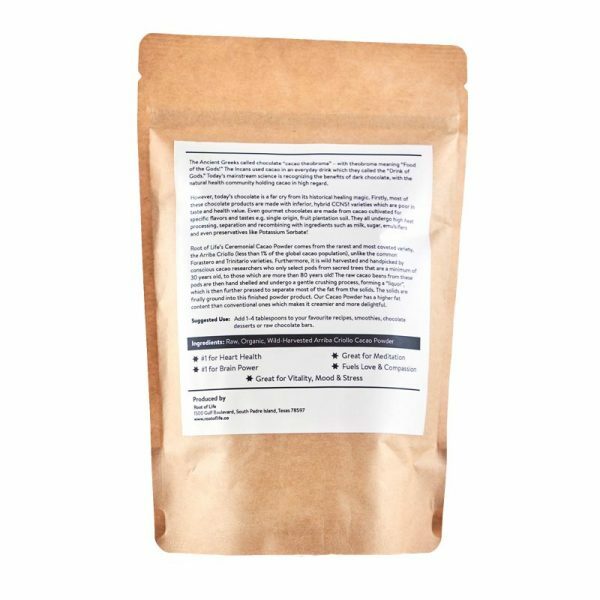 Add 1–4 tablespoons of our cacao powder to your favourite recipes, smoothies, desserts or raw chocolate bars.